It has been just over a year since my last post. A lot of thing have happened since then. I married the love of my life, gained two fur babies(dogs) and moved into a new place with very little room for building models. 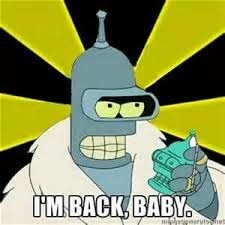 That said, its such an exciting time for the hobby I just had to come back. I really like the new Ork codex and I am looking forward to building some plastic MegaNobz. the formations look like they would actually be beneficial for once. 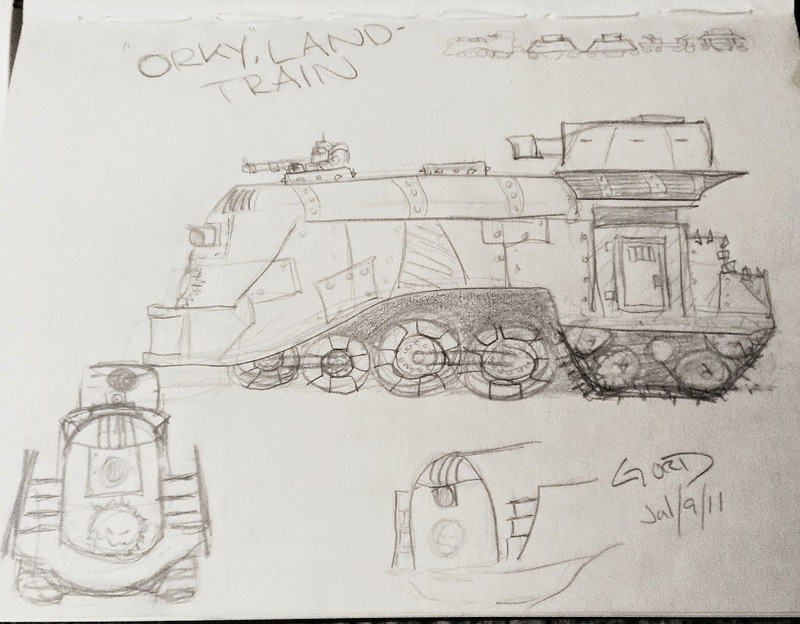 Beginning this week I will be starting my series on making an Orky land train( this will consist of a bunch of converted Ork Battle wagons). This is a project I've had in mind for some time now but have been to busy to undertake. Well, ...its time. On the other side of the coin we have the fiasco that is Robotech rpg tactics. the whole situation had lost Palladium many of its supporters. About 30% of the backers are so pissed they are just going to dump the product on eBay to get their money back. Seriously I've never seen any project handled so badly. but I digress, this subject is an article all on its own. Hope you've had fun and looking forward to seeing you in the 4x8 arena. Labels: 40k, 7th edition. Orks, Battle Wagon, Battlewagon, Ork nobz, orkz, Palladium, robotech kickstarter, Warhammer 40k. I found your blog through Faeit 212. I'm looking forward to seeing this project progress. If you don't mind I'll be sharing some of you posts to our Facebook page Game Face Nation. No problem, go to eet.